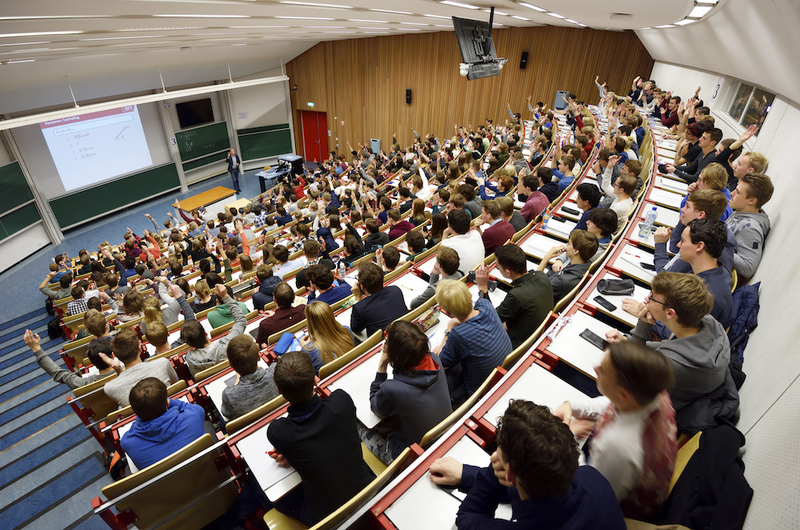 The number of students registered at the Netherlands’ 13 universities is up 5% this academic year, taking the total to a record of almost 290,000, according to preliminary figures from the Dutch university association. The rise in student numbers is almost double earlier education ministry estimates, which will have an impact on university funding. VSNU chairman Pieter Duisenberg says the strong growth in student numbers is to be welcomed, but is also worrying because of the rising pressure of work and the shortage of academic staff. Foreign students now account for 55,000 places, or almost one in five of the total.